They found each other by accident. They became a team for life. While preparing for a hurricane that’s heading straight for the Bag It and Tag It lodge, William “Brew” Estes makes a last-minute run to the market to grab supplies. While there, he heads off a robbery and saves the day…all in a day’s work for the former Marine. Celeste Hart is exactly where she never wanted to be. When the robbery goes wrong, she knows this could be her only chance to get away. She runs, despite the storm that’s on the way, knowing that if they catch her again, they could break her this time. The moment Brew laid eyes on the blonde, he knew something was up. Later, when he sees her walking down the road, he can’t leave her without cover, so he offers her a place to stay, if only through the storm. But neither can deny the connection they feel for one another. When the truth comes out, will Brew and his partners turn her in to the police for her part in the robbery? 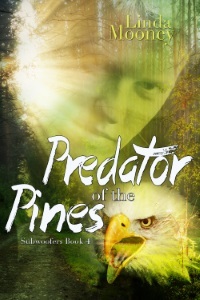 Or will they help her escape the grasps of her stepbrother and his cronies? Warning! Contains culinary skills, knowledge of firearms, driving wind and rain, a $5 bet, unbelievably tender kisses, a color brochure, love by candlelight, and a struggle to protect the woman who was becoming more precious to him than his own life. The fourth book in the award-winning Ravensblood series by Amazon best-selling author Shawna Reppert is now available for pre-order! With his murderous former mentor dead, reformed dark mage Corwyn Ravenscroft is looking forward to a brighter future with Cassandra and their new son. 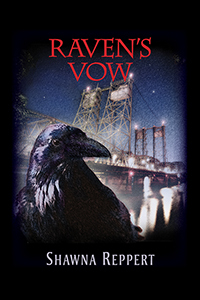 But when a mysterious killer stalks their friends and associates, Raven realizes that he may not be the only one among their social circle with a dark past. When is a Pet Not a Pet? Psychics + Pets = A Fun Read, Plus It's On Sale!